Who would have thought that five people from Cleveland named Layzie, Bizzy, Wish, Krayzie and Flesh would come together to form a legendary hip hop group we would later know as Bone Thugs-N-Harmony and be successful. 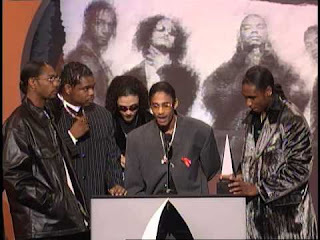 It would be 1994 when these five would release their debut EP “Creepin On Ah Come Up” with a huge stand out track “Thuggish Ruggish Bone”. 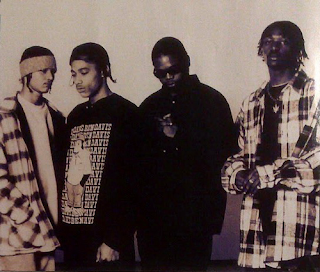 As hip hop fans we know 1994 was THE year and with debuts at an all time high, Bone Thugs seemed to get pushed to the wayside. 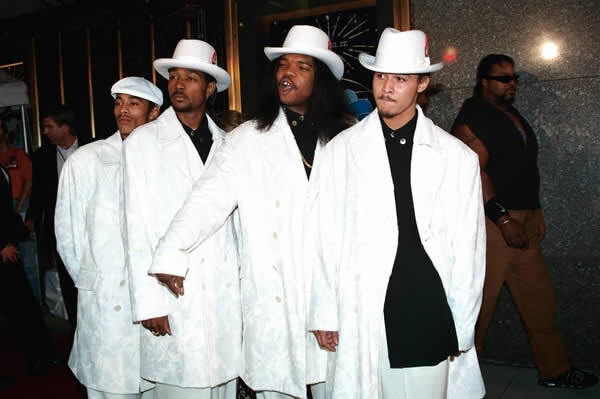 It didn’t stop them because that following year, they released their second studio album under Ruthless Records with help on production from DJ U-Neek and Eazy E (as executive producers). Ruthless was the right move for the group because "E. 1999 Eternal" was received quite well. 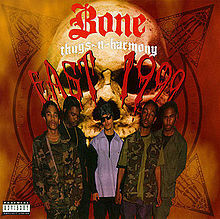 While this remains a (somewhat) underrated album, 1995 would be the “Year Of Bone”. 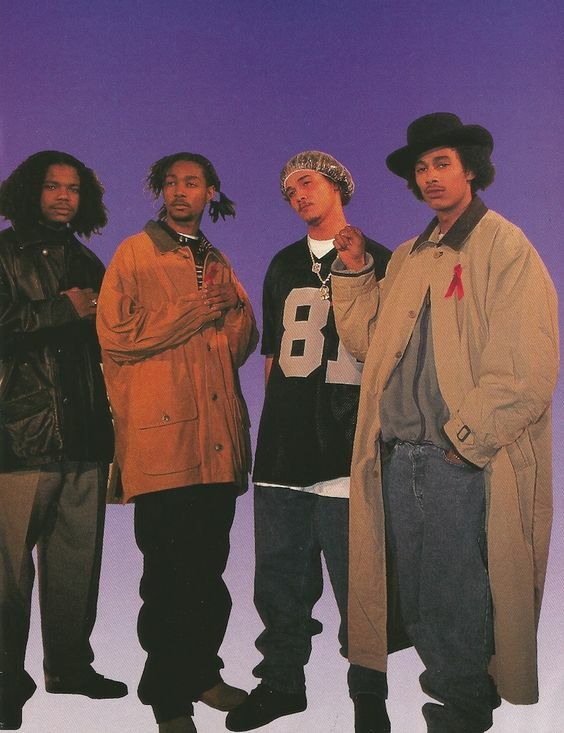 They got a ton of radio airplay with 2 of the 3 released singles and although they were originally Midwest rappers, they took on the sounds, beats and themes of the West. 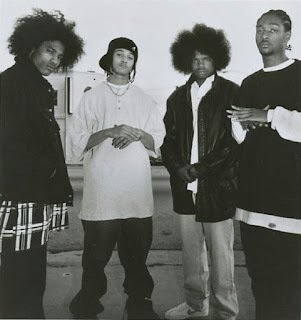 These guys would prove that they were different, as they weren’t just able to deliver fast paced raps over looped bass and an overwhelming amount of piano instrumentals, they also harmonized those raps in a melodic way. With “E. 1999 Eternal”, Bone Thugs brought a different aspect of hip hop that would become their defining sound. 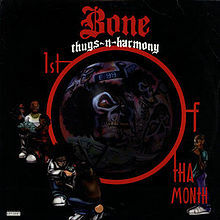 Let’s take an in depth look at the album that put Bone Thugs on to mainstream success while staying true to the West coast themes of money, guns, violence and of course weed. As always, we’ll take a look at production and rate the tracks and highlight some dope lyrics. 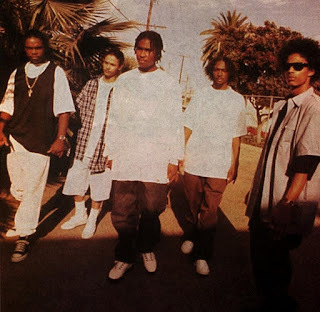 There are about 4 people on the production of this album, but one would be synonymous with Bone Thugs and would remain a producer on every project, and that’s of course DJ U-Neek who is credited for the production here (he did collaborate on some tracks). 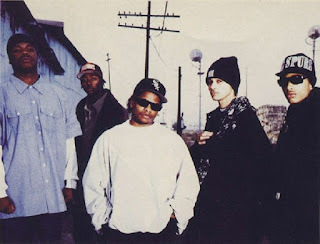 Eazy-E is here of course as an executive producer since the label was Ruthless, and his presence gives this a familiar but “revamped” sound. We hear a lot of piano loops, a lot of bass lines and of course various sound effects to give a dark, eerie and murder-esque undertone throughout the album. Although all five members of Bone Thugs were from Ohio, with the help of the production team, they captured the very essence of the west coast and added some much appreciated and much needed harmonization to the graphic lyrics. What we are left with is a 17 track album that is enjoyable and truly unique all the way through. Let's take a look at each track and the best lyrics from each of them. -They waste no time with the sound effects, the whispers, screams and the cleverly used debut single “Thuggish Ruggish Bone” playing in reverse is impressive. DJ U-Neek is the voice that sounds like “Nightmare On Elm Street” dialogue. The whole thing works very well and lyrics about the “smell of 1-8-7” and a “12 gauge” and “AK spray” lay the groundwork for a central theme. What is even more noteworthy is the hook, as the melodic singing and play on “double nine” is great. Overall it wasn’t perfect, but they couldn’t have introduced the album any better. East east nineteen ninety ninety nine nine nine nine”. Although it remains simple with the repetition of two different lines, I love the way it sounds and of course it fits the track title and the content. -This track is another dope one. The instrumental on this is interesting. 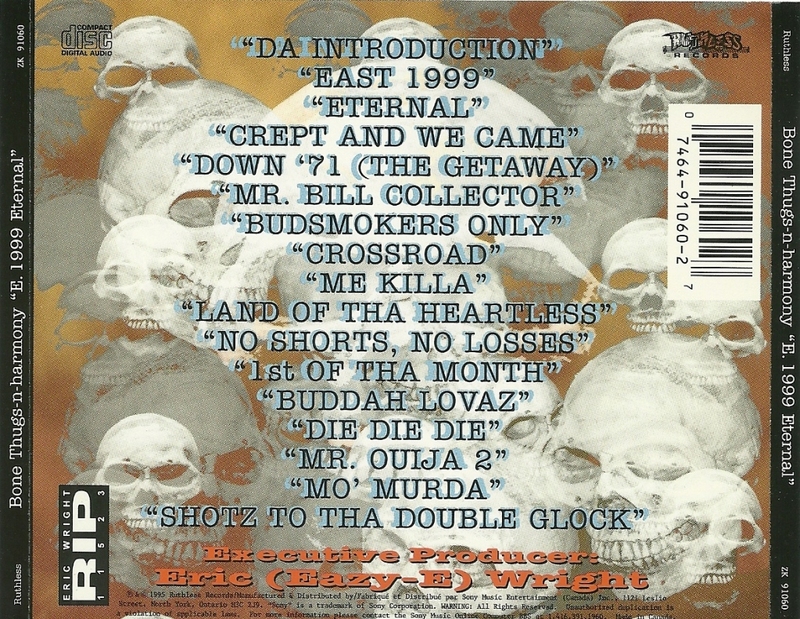 It starts off so calm with another intro by Layzie before the tempo picks up on both the beat and the rapping. 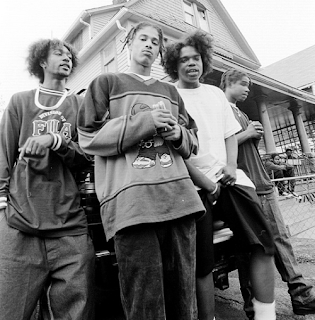 Bone Thugs are known for their super fast paced delivery. It works for them, although for some it may be a little hard to understand. For those of us who follow along, the guns, shootings and weed themes are prevalent. These guys set out to talk about street life in Cleveland/LA which they do, track after track. While it’s starting to sound a little repetitive, they still manage to make each song enjoyable for the listeners. -This isn’t my favorite track on the album, but I do like that it’s a continuation from their debut “Creepin On Ah Come Up”. Basically they’ve made it and they give us a five minute track to reiterate it. The story is good in theory, but with rappers with this type of delivery speed, it’s difficult to follow along. I like the thought and it is a fitting track for this album, but once again not my favorite. -The stories continue on Down ’71 where we are “welcomed” to a court hearing of the people vs. 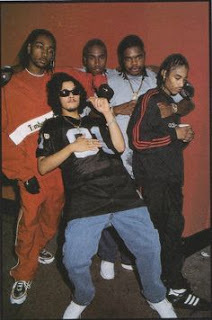 Bone Thugs-N-Harmony. 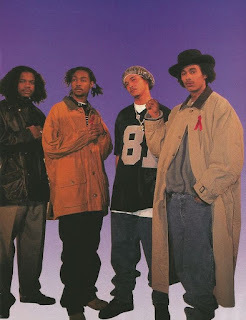 Long story short, Bizzy is being sentenced to death row and Layzie and Krayzie have a run in and shootout with the cops and alas he is free. As outlandish as this may seem, I don’t think there was a better group to pull this off. There was an abundance of sound effects (sirens, screeching tires, gun shots etc) that bring the story to (audio) life. I love the breaks in the beat that accentuates the rapping. This doesn’t rank as one of my favorites but it’s memorable and a fun listen. -When you speak so heavily about drugs and the streets, there has to be some mention of money and here it is. Appropriately titled, it is exactly what it sounds like, as they are getting the money owed to them and death resulting in those who don’t pay it back. More glocks, slugs and getting popped and as much as this is more repetition, they slow this track down a lot. It’s so mellow compared to what we’ve heard so far and easier to follow along. I’m not a huge fan of this track, I think this album would be the same with or without it, but this was one of the few tracks Eazy-E heard right before he passed away so it gets a pass. -The ode to weed. I’m not surprised it’s on this album because soon we see another one in the same vein. 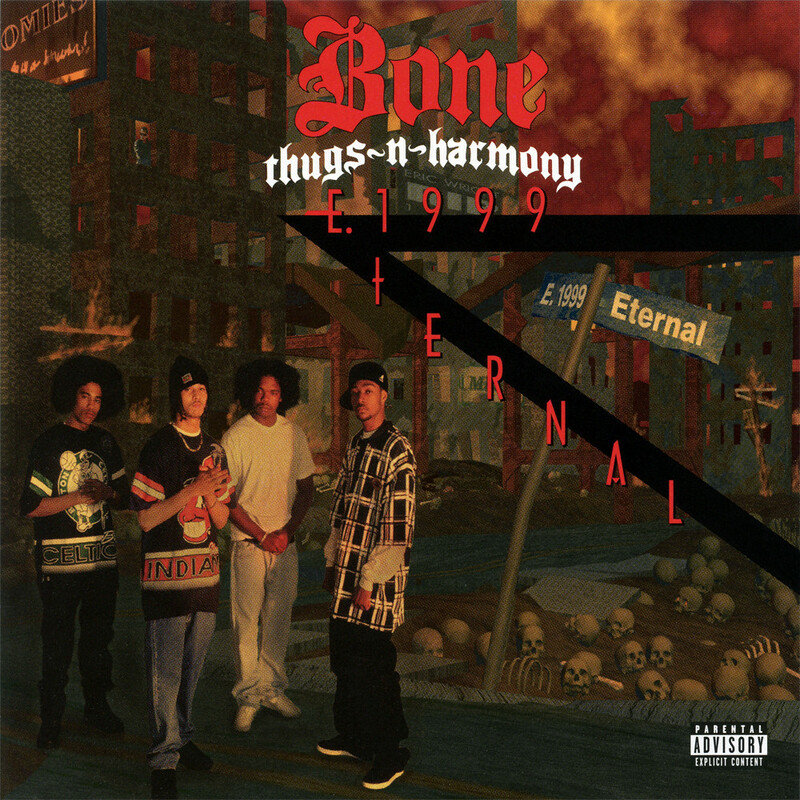 Although Bone Thugs are from Cleveland, this album was recorded in LA so this is understandable, not to mention the amount of people who can relate and appreciate this song. I think it’s perfect for an album like this and is a good fit. The beat is very similar and of course the rap styles never change so while it sounds like much more of the same, the topic is a bit more mellow and laid back. This track is a bit tricky. The original track was “Crossroad” which was recorded and set to be released was redone by the group when Eazy-E passed away four months (to the day) before the album’s release date. 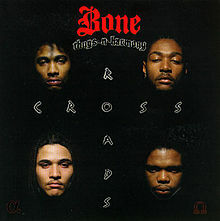 The group re-recorded the song and called it “Tha Crossroads” as a tribute to Eazy-E and other important people in the members’ lives. 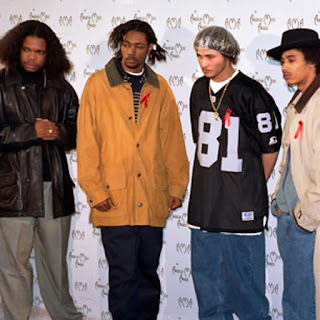 With this, the group charted at number one for several weeks and based on the fan reception, it was released as a single in early ’96. -This really serves as an interlude and is “sung” in acapella. Personally, I don’t see the point in this except I do like the imagery it creates with the sound of rainfall. -Some people would say many tracks on this album constitute a braggadocio theme, but this is where I find it’s the most prevalent. Each member “flexes” their street cred. It is expected and they do pull it off well. Some critics have called this track a filler, but considering this is their second album and the one that put them on the map, I consider this more of an “image builder” than anything. As far as the beat goes, there isn’t much variation here. The instrumental follows the same “recipe” U-Neek has used throughout the album. -This track shocked me a little. Initially I thought I wouldn’t like this song but I was pleasantly surprised. There’s a synthesizer addition in the instrumental loop that is pleasing to the ear and makes this such a great song to listen to. It’s also reminiscent of some NWA sounds, so I really appreciate that too. The content isn’t as attention grabbing as the beat, but it’s a great track to have playing in the background. This was a pleasant surprise. -This is another very enjoyable track, fun to listen to and dope to rap along with. The lyrics are funny (for lack of a better word), since it revolves around celebrating welfare checks and weed sales and fresh money to spend. This is a fan favorite and a total crowd pleaser and a highlight on the album. 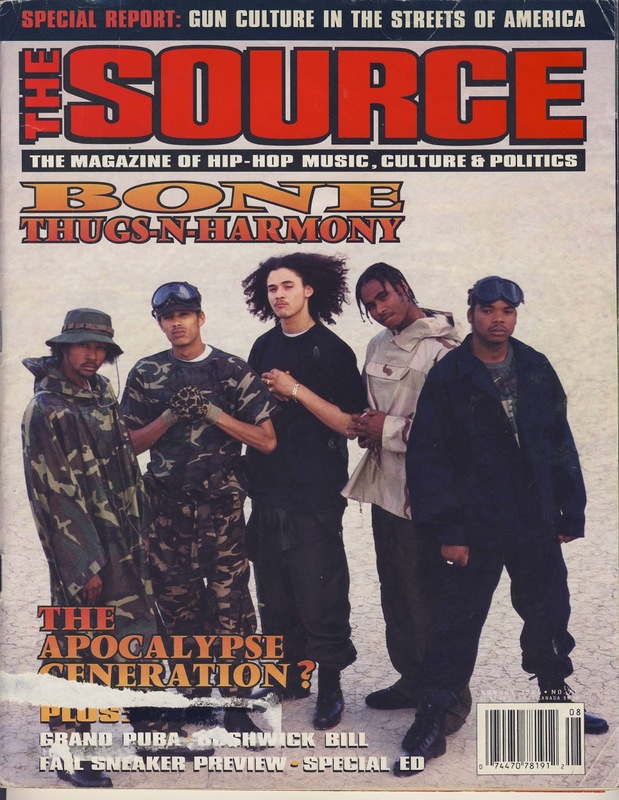 Over the years, I believe this has become a timeless classic and remains the most memorable song Bone Thugs ever recorded besides "Tha Crossroads". -Another ode to weed and nicely placed (right after 1st Of Tha Month) and I'm certain they were high out of their minds when they recorded this. If they weren’t (which is super unlikely as they were seemingly always high), they mimicked the effects perfectly. They hit an R&B type singing with the slowed down tempo and ballad-like instrumental backdrop. I always found this song to be absolutely hilarious and so fitting for these guys. There really are no best lines. I find this whole song pure comedy!! 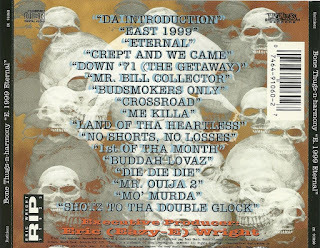 -More glocks, more cops and more death, which makes the title very appropriate for the lyrical content. Although it’s the same subject matter as previous tracks, the story always changes a little. This time we hear them hiding from the cops and then they are found and it turns into another shooting. I have to admit, track after track, these guys manage to perfect the imagery and the production team (mainly DJ U-Neek) bring their lyrics to life with perfectly placed sound effects and beat breaks. This is a very well put together track and another highlight on the album. -This track actually freaks me out and I can’t listen to it very much. As anyone who was growing up in the 90’s or who lived through the 90’s would know that many have had some interaction or experience with Ouija boards (and they were never good). Bone Thugs turns this into a song. They are already messing with the afterlife and spirits, but to make matters worse they are cocking weapons and talking about murder. The entire song is eerie. With that said, this serves as the perfect “intro” or “interlude” to the next track so I do love that it’s here. You can’t appreciate the next track without listening to this one first, so for that I do appreciate it. -Like I said, this goes hand in hand with the previous track. This is another highlight on the album. The scary “Nightmare On Elm Street” voice from the beginning is back on here and of course talking about murder. I love that they reference the experience they just had with the Ouija board in the lyrics because it puts the darkness at the forefront. This track is integral to the overall feeling of the album and there are a ton dope lyrics and parts. Everything about this song was on point. Mo murda, mo murda, mo murda/"
-This track has a ton of people on it and serves as more of a posse cut than anything. Of course they keep the theme of the album intact but it’s more of rhyme spitting than a story to follow along. It’s nice to end the album off with some guest appearances who can rap in the same vein and keep up with the tempo. This isn’t the most memorable song but has a great hook/chorus so it works and is an enjoyable track. There are many but the most obvious is production. 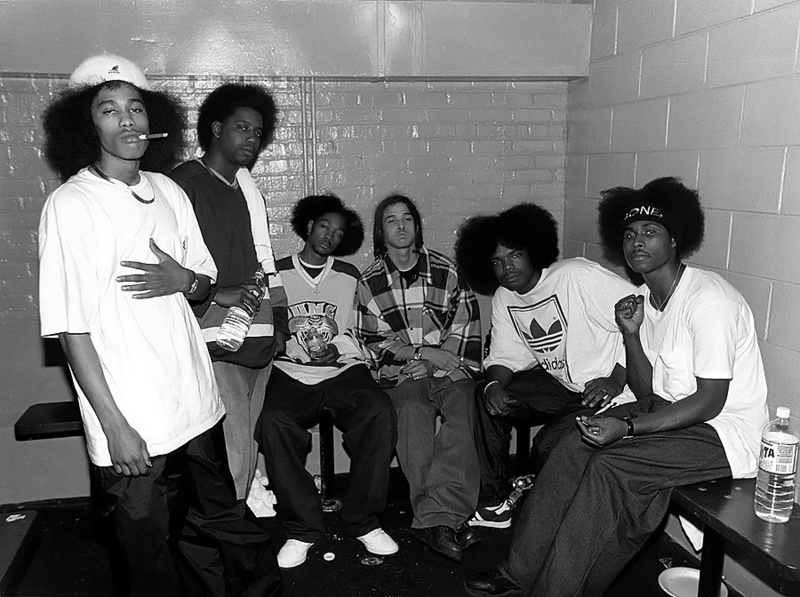 Bone Thugs and of course DJ U-Neek came a long way since their debut. The beat selection is impressive and the sound is unified from beginning to end and with each member’s flow and delivery more refined the final product sounds incredibly well put together. Lyrically, Bone Thugs use a lot of rhyme schemes and wordplay which adds to each track and their harmonization is unlike any other rapper or group. Everything flows well from verse to verse and makes for an easy listen. Overall, this is a good album with a lot of replay value. Much like the strengths, the weaknesses are also obvious. While the beat selection and production was great, it is repetitive. It’s safe and with an album that is over an hour long, variation would have been good. 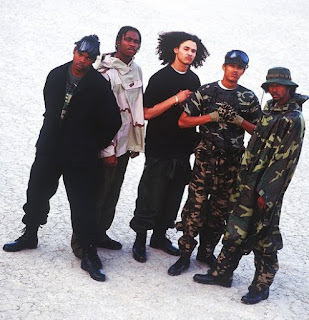 Bone Thugs-N-Harmony have always been known for their speed of rapping, but most times the dope rhyme patterns and play on words gets lost to the listener. Bone Thugs-N-Harmony debuted in a year when hip hop powerhouses were releasing instant classics and resulted in them being overshadowed and forgotten. 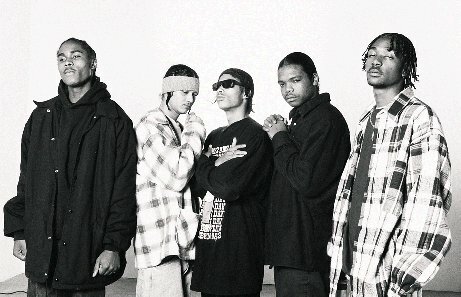 With "E. 1999 Eternal", Bone Thugs re-emerged and proved that they were a unique group with some hidden talent. They brought with them a style of rapping we had never really heard and with their ability to harmonize so flawlessly while keeping the topics relevant to the genre, they created an album that is very good with a ton of replay value. With a couple classics under their belt and a Grammy Award winning tribute song, Bone Thugs established themselves as a Midwest powerhouse.